This is an all-German affair in the Eurocup and it is the first time that these two teams have clashed outside of domestic competition. This may add some extra spice to the game but this is a rivalry that needs to no addition to warm it up! ALBA will take some comfort that the fact that they won the only meeting of the two teams so far this season. The teams met in November and a 90-74 win for ALBA could be a tip for how this round pans out. Elmedin Kikanovic was in great form in that game, grabbing a double-double to help split the two German side. If Kikanovic can pick up 16 points and 10 rebounds, or something similar in this game, it would give ALBA the ideal platform for the second leg that is looming between these two fierce foes. With the home leg first, the Berlin side will be desperate to take a healthy lead into the deciding game. Bayern may have lost this seasons clash but they had a better record in the Last 32, 4-2 against a 3-3 record, and they have defeated ALBA in knock-out scenarios in recent times. Bayern won 3-2 in the German League semi-finals last season and in the year before that, Bayern triumphed 3-1 in the final. This will give the away team confidence coming into this game and they know that they have the squad that can handle the pressure and tension of this sort of game. Bayern have never made it to the quarter-final stage of this tournament and they’ll want a good result to set them up for the second leg. The bookies think that ALBA will get a flying start in the two-legged tie and they are the favourites for this game. 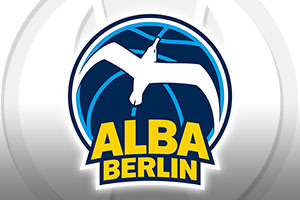 Taking ALBA Berlin at -4.5, which you can find at odds of 1.90, should be a good introduction to the Last 16s. When it comes to the Over/Under market, be sure to go OVER 156.5, which is on offer at odds of 1.90 for this all-German affair. Bet Now!